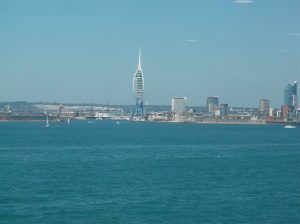 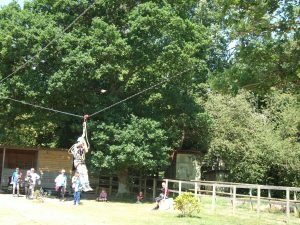 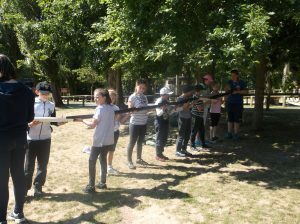 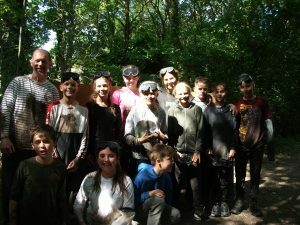 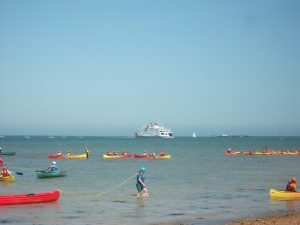 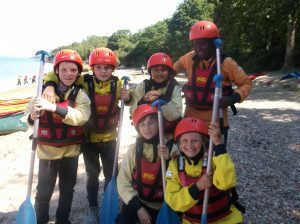 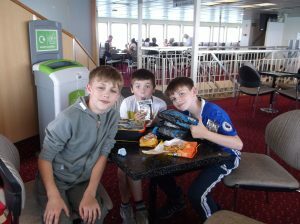 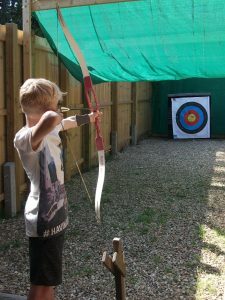 Every year, our Year 5&6 children have a fantastic week away on the Isle of Wight staying at PGL’s Little Canada site. 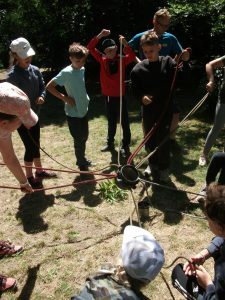 Click here for the Little Canada website. 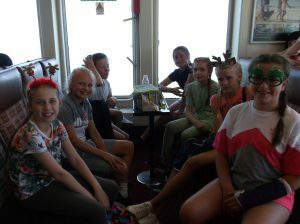 We had an early start to our day with breakfast at 7.00am- lots of choice and a good start to the day ahead. 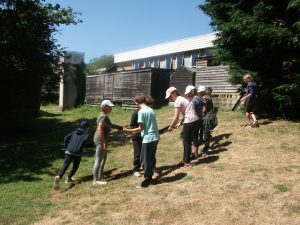 Morning activities followed- survivor and cat walk. 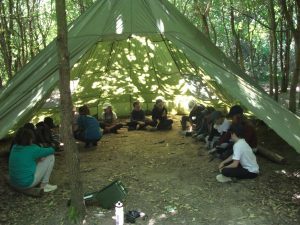 In the survivor session we explored woodland crafts, including how to build different types of shelters and how we could use flints to create a fire. 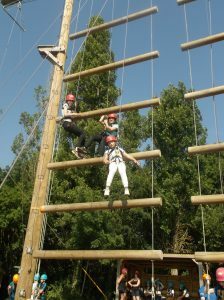 Cat walk is a set of 4 high ropes challenges, which increase in difficulty each time. 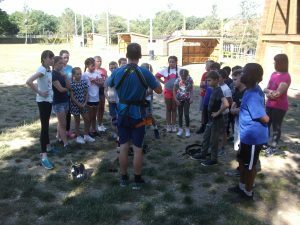 Lunch followed the morning activities and we then had a session of games with our group instructor. 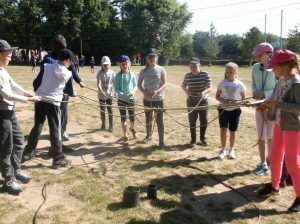 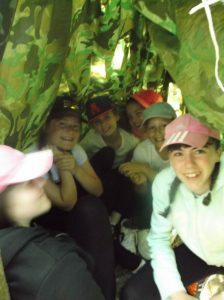 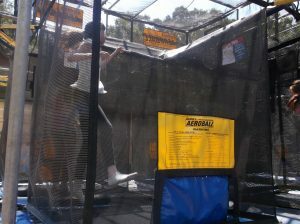 The afternoon sessions were ‘tunnel trail’ and trapeze. 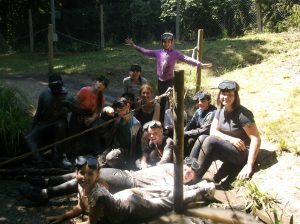 Tunnel trail was very exciting, with challenges taking place in underground tunnels. 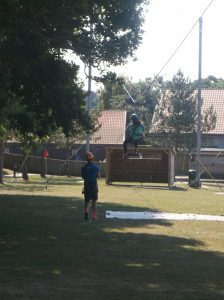 Trapeze was a test of climbing skills, together with a final leap of faith from a platform to trapeze. 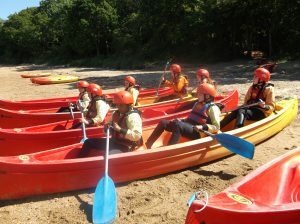 Some people weren’t so keen to get up this morning! 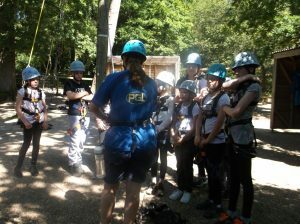 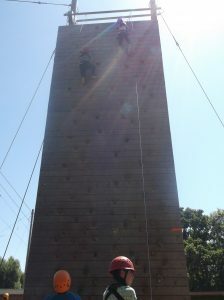 After breakfast, we went to Problem Solving and Climbing – lots of us went to the top of the tower. 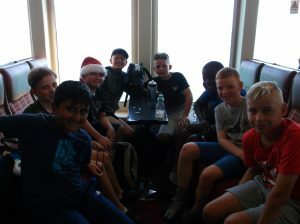 We then had lunch before changing into wetsuits & buoyancy aids for our canoeing session down off the beach – some of us were definitely better than others at steering and paddling the boats but we all had a fantastic time 🙂 This evening we have enjoyed a quiz. 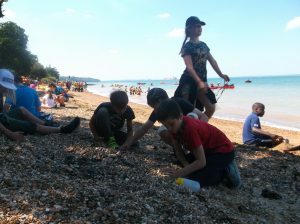 We started the day with Jacob’s Ladder and the Sensory Trail – we got very muddy, as you can see in our photos 🙂 In the afternoon we enjoyed a more relaxing time on the beach for a little while before we came back to have a go at archery. 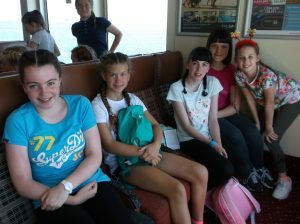 Everyone dressed up for this evening’s disco!